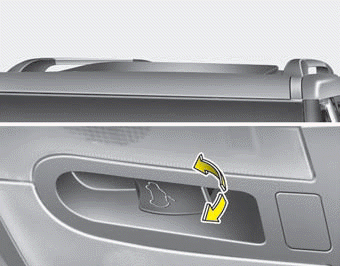 When closing the sunroof, make sure there are no body parts in the movement range of the sliding roof. Parts of the body could become trapped or crushed. Periodically remove any dirt that may accumulate on the guide rail. The sunroof is made to slide together with the sunshade. Do not leave the sunshade closed while the sunroof is opened. While using sunroof for a long time, a dust between sunroof and roof panel can make a noise. Open the sunroof and remove regularly the dust using clean cloth.